Technology is taking over our lives it seems, some would say for the better and some would say it’s taking the personal touch and personality out of everything we do and every environment we enter. You only need to sit on a train or walk into a coffee shop to see endless rows of smartphones in front of faces and it’s now evening becoming a huge part of restaurant, café, pub and coffee shop services and culture. According to a study, 57% of consumers agree that technology improves their customer experience. So where do we see this going in the future? 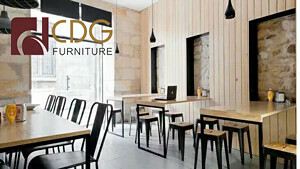 The commercial furniture&restaurant table manufacturer-Cdgfurniture will share it with you. Self-order technologies are particularly prevalent in the likes of Starbucks and MacDonald’s. They consist of ordering kiosks within a restaurant and the ability to order from guests’ mobile devices. If you think about it, these types of restaurants already offer a wide range of services such as in-store purchasing/counter services, drive through, order kiosks, touchscreen as well as mobile/online ordering. This technology serves the purpose of faster ordering and payment and so speeds up the rate of service. It can be combined with tableside service and so doesn’t need to replace it entirely. According to Barclaycard, 37% of diners prioritize quick service over the actual quality of the food. So this means that being able to pay quickly is a priority for many consumers (not all, but a significant amount). The introduction of apps allows many restaurants to bill their customers without the need for a waiter/waitress. There’s even bill splitting apps available for large groups! Voice may be next on the books and various establishments in the USA are experimenting with a Google supported system which uses voice and facial recognition. So, for example, instead of asking the waiting staff for the bill, all customers will have to do is say ‘I’ll pay with Google’ prior to being charged automatically. When is a restaurant a restaurant and when does it actually become a vending machine with restaurant furniture? There are some fully-automated restaurants out there whereby you order your food via an app or in the venue itself via a smart screen. You then collect your food from a glass door cubbyhole – Crazy hey, but due to the lack of staff, customers can enjoy a higher price point meal at a lower price and service is extremely quick. Self-service machines are slowly taking over humans in many restaurant venues, however, this may also extend to the preparation of the food itself, which is a scary but entirely realistic thought as the prediction is such that 50% of jobs will be at risk of from robots in the future! After reading this blog, do you want to learn more about related information? 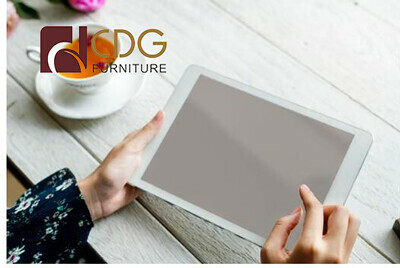 Please follow us and the metal furniture manufacturer-Cdgfurniture will update more knowledge for you.